H.H. 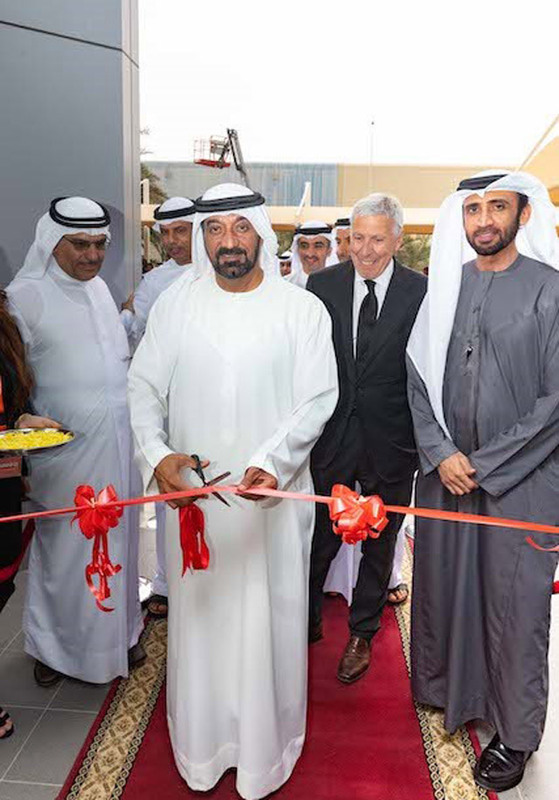 Sheikh Ahmed bin Saeed Al Maktoum, Chairman of Dubai Civil Aviation Authority and Chairman and Chief Executive of Emirates Airline and Group, unveiled the new global headquarters for Integrated Service Solutions Global Forwarding. Mohammed Ibrahim al Shaibani, Executive Director of Investment Corporation of Dubai, attended the opening ceremony. Launched by the Investment Corporation of Dubai, the principal investment arm of the Government of Dubai, Integrated Service Solutions is a wholly-owned subsidiary focused on supply chain logistics. Its new global headquarters in Dubai Airport Free Zone is strategically located in the heart of Dubai, adjacent to Dubai International Airport. Integrated Service Solutions is currently present in more than 25 countries across the Middle East, Africa, Europe, India and Turkey and will focus on core activities of Global Freight Forwarding, Contract Logistics and Projects Oil & Gas. "We are delighted to be opening our Dubai headquarters and this marks the beginning of a dynamic new era for Integrated Service Solutions as we establish ourselves as a regional powerhouse," said Group CEO.